Which Car Problems Should You Take to Your Mechanic? Some car problems can be fixed easily on your own, while others should be looked at by a professional. Car problems can start with issues that look, feel, or smell like trouble, which may mean your car needs to be looked at by your mechanic as soon as possible. Even if you know little about your vehicle, there are ways to tell which part causing the problem. When you notice a leak, look carefully at the color of the fluid. If the liquid is orange, yellowish green, or pastel blue, it’s likely antifreeze. Your engine may have overheated or you may have a leaking hose, radiator, or water pump. Seals and gaskets don’t last forever, so if the puddle is dark brown or black, you likely have an engine oil leak. A small oil leak can be temporarily fixed by simply topping off the oil. Red fluid is likely due to a transmission or power steering issue. You should never drive too far without addressing these types of issues. However, if you see clear water under the vehicle it’s most likely just condensation from the air conditioning and a non-issue. Pay attention to any odors your vehicle gives off. Burning insulation on wires is a light, sharp odor and smells like burnt toast. You may make the problem even worse if you start the vehicle so it is best to call a professional. If you smell rotten eggs or sulfur, you may have a problem with the catalytic converter or one of the other emission control devices, particularly the EGR valve or system. This smell should also have you at the mechanic as soon as possible. Another scent that requires immediate transport by tow truck is the smell of gas vapors. Newer vehicles have fuel injection, so chances are you didn’t flood the vehicle trying to start it—that just doesn’t happen with fuel injection. Burning oil has a thick, acrid smell. It makes a mess of the engine and the oil could drip onto the exhaust manifold and catch fire. While you don’t have to rush to get it repaired, you should still plan to get it looked at. If you’ve overheated the brakes or the clutch you will small burning chemicals. Allow the brakes to cool off before trying them again. Make sure you have plenty of braking power before you start again. If not, have the vehicle towed. If you notice a sweet smell coming from your car, you likely have a coolant leak. Even if the temperature gauge doesn’t come on, stop the vehicle immediately. Allow the engine to cool before removing the radiator cap to check the water level. The gauge or light won’t work if water isn’t passing by the coolant temperature sensor. If your vehicle is out of water, you may have already done some damage. Your vehicle makes many sounds while running, but some noises are signs that a problem has occurred. When you hear a loud, high-pitched noise as you press the brakes, it may indicate your brake pads need to be changed. If you ignore this over time, the sound will go away, but only after the metal of the brake shoe has begun to eat into your rotor. Any other loud sounds, like a squealing belt, the thud of a suspension component, or the clicking of an engine should be seen by your mechanic as soon as possible. These sounds don’t repair themselves and could potentially lead to major issues. If you’re unsure of a smell, sound, or look of something on your car, it’s safer to have the vehicle towed to your local mechanic to inspect for car problems. I'm an automotive copywriter with more than 10 years of professional writing experience. I've written automotive content, articles, how-tos, magazine articles, sales copy and more. 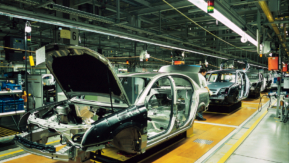 I have more than 15 years of professional hands-on experience in the automotive industry. 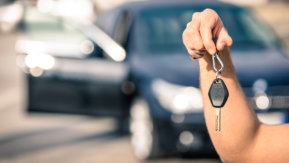 Car buying doesn’t have to be scary. Domestic Cars vs. Foreign Cars: What’s the Difference? *This content is paid for and sponsored by U.S. Auto Sales.